How to change the Finished status to Active? 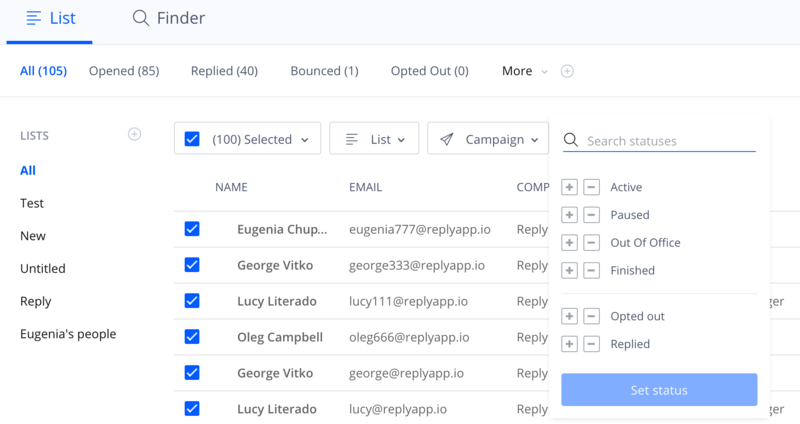 Reply changes contact's status to Finished when a prospect should stop receiving emails during the campaign. You can also do it manually. When you have specified to set the status as Finished after a prospect replies at a certain campaign step. When a prospect goes through all campaign steps, does not reply and 5 days pass after the last step (you can adjust the number of days). In both first scenarios, you can change the status of the prospect to Active and make them participate in the next campaign steps. As a result, it's automatically set to Active and resumed in campaign.